openSUSE for ARM is almost there! We are currently getting ready for our 12.3 release which will work on the devices listed below. Almost all of the usual openSUSE distribution (>5000 packages) builds and runs on all the ARM hardware we have tested it on so far. Thanks to OBS we can cross build and if need be cross compile packages for numerous architectures (ARM included) which speeds up our efforts significantly. Currently we target armv7hl (hard floating point with aapcs-linux ABI) and armv5tel (soft floating point, Factory only). If you have knowledge and experience, please help out. If you don't take part you have no justification to complain - you've got to be in it to win it ;-) If you're looking for 64bit ARM, see the AArch64 page. Feel free to join the openSUSE ARM mailing list as well as the #openSUSE-arm IRC channel for questions or help. We are also actively looking for people to enable hardware we don't support yet. 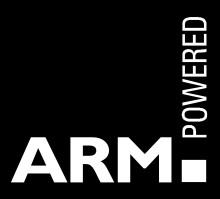 If you have an armv7 based device that doesn't work yet and are willing to spend some time to get it working with openSUSE, please contact us on the mailing list. There is also always room for improvement on the package building side of things. You can check out build failures (filtered: ARM specific build errors) to see what packages need some love. If you think you can help out, please try and fix something that doesn't work and submitrequest the change to openSUSE Factory. Help is very much welcome! Building packages locally to test is not difficult thanks to QEMU. We recommend to use openSUSE 12.2 as your base build OS as it contains the latest tool set to run ARM binaries. Working on platform support without hardware is not possible. Genesi is helping the porting effort by donating EFIKA MX machines to five developers, making native compilation possible, also making the EFIKA MX the first supported machine by openSUSE ARM. Последнее изменение этой страницы: 11:22, 16 мая 2015. К этой странице обращались 10 879 раз.